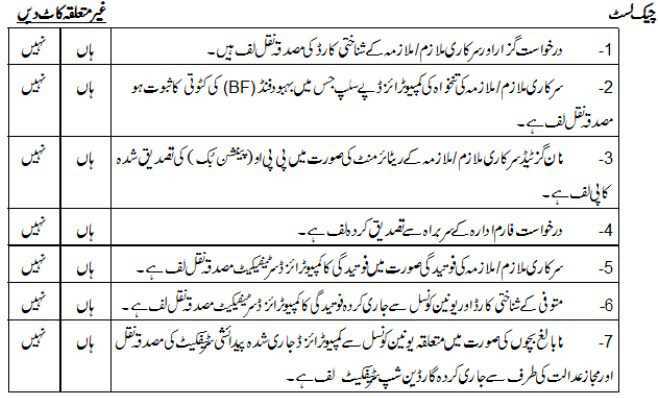 Here you can find complete procedural information on Death/Funeral Grant by Punjab Government Servants Benevolent Fund Updated Rates & Form – 2019. Government recently revised Benevolent Fund prices for it’s employees, you can check here new increased updated rate now. You can also download Punjab Government Servants Benevolent Fund Death/Funeral Grant New Form 2019. 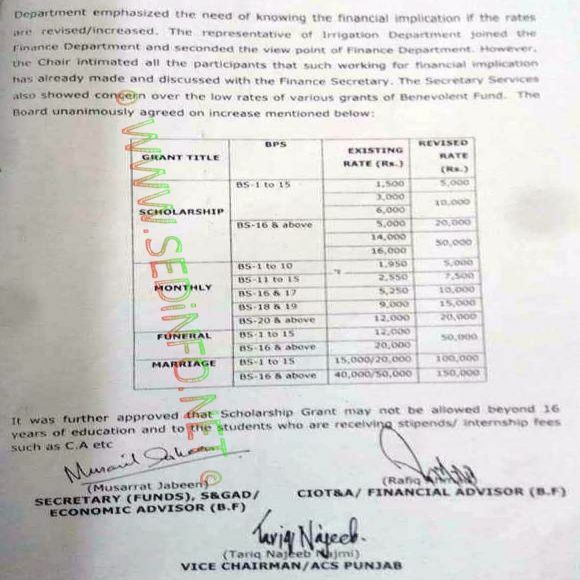 Government of Punjab has revised rates for it’s Servants Benevolent Fund rates for Educational Scholarships, Marriage Grants, Death/Funeral Grants, as well as, monthly grants on 19-01-2019. In order to know in detail about the old rates as well as new rates, read complete page carefully. What is Punjab Government Servants Benevolent Fund? Punjab Government Servants Benevolent Fund Board provides services to Punjab government employees since 1960. The Punjab Benevolent Fund Board is a governmental organization supporting the serving and retired provincial government employees as well as widows/ children of deceased government servants across the province. All the services are under under the provisions of The Punjab Government Servants Benevolent Fund Ordinance, 1960.
Who can Receive Punjab Government Servants Benevolent Fund Death/Funeral Grant? Government has revised rates for Punjab Government Servants Benevolent Fund Death/Funeral Grant on 19-01-2019, below you can check old rates as well as new rates, according type of employee. Check following attached official revised rates notification copy. How to Apply for Punjab Government Servants Benevolent Fund Death/Funeral Grant? Read carefully following instructions & attach attested copies of documents mentioned below. What instructions & documentation is required for application submission? It’s compulsory to submit application with in 3 years of death, after that period no application will be accepted. It’s mandatory for application to be submitted in Benevolent Fund Board through respective his/her department. Attested copy of applicant’s CNIC. Applicant’s computerized salary slip as a proof of BF deduction. In case of employee’s death, attach attested copy of death certificate. Attested copy of died person’s CNIC/Birth Certificate & death certificate from Union Council. Check following attached official instructions’ copy. Don’t forget to tick or cross following checklist for Death/Funeral grant. For getting official guidelines contact to Ahmad Faraz (Administrative Officer Benevolent Fund) Phone No. 042-99204035. Feel free to comment below, in case of any query regarding Death/Funeral Grant by Punjab Government Servants Benevolent Fund Updated Rates & Form – 2019. You can also contact us, We’ll try to be as responsive as possible.